Similar to "apiary.png" in the ModKit example? I'm wanting to borrow bits of these textures for use in generating new textures for custom made assets / meshes in order to have the same artwork style and look in-game. I've already seen a couple of simple custom assets in the workshop which use the vanilla artwork style. Is this possible or is it classed as infringement of the developers copyrighted material? This is what I found when I was doing mods with vanilla textures. on this site. It is very widespread. You must set the game to run in 32-bit DirectX 9 mode! In game you can step through textures with + and - on numeric keypad on your keyboard. Press Enter to save pictures. The program has other features. Search for instructions and videos on internet. 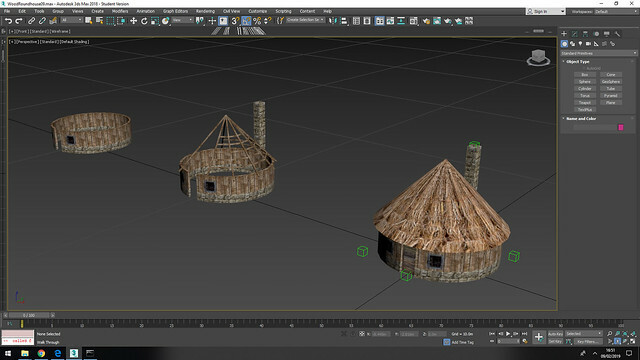 Thanks for all the links I will now be able to put some olde worlde Banished feeling into my assets. That same building in stone give so different feeling. 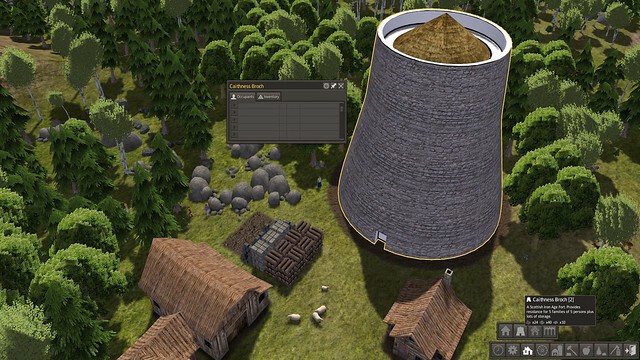 I think it would work very well for higher building, like tower with some windows. 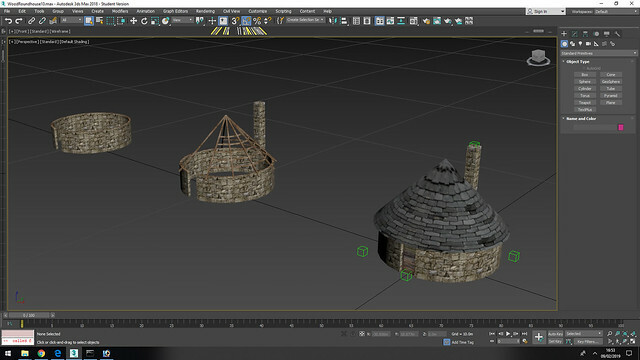 I have also started work on a Scottish Iron Age Broch, image is WIP, texture needs finishing etc. It has same capacity as the vanilla boarding house but is much more fuel efficient due to thick stone walls. I was thinking build cost of 250 stone and 100 wood and 300 labour. I'm hoping to also make some detailed build models to keep player happy watching during the long construction. Once finished it is a fairly dull building. i personally find it extremly big.... looks like a nuclear plant. what it produce ? U-235 ? looks like a nuclear plant. First I was thinking the same thing. But ain't this just draft version? It will get better later. But if this is the final version, im not here to judge. Imagine how dark they must be inside. You got lots of right shape all ready. But i think your version is too smooth, clear, sterile on the upper side. That´s why the "nuclear power station" feeling. But you wrote earlier "texture needs finishing etc" i would like to see newer version. I think, maybe cut height a little bit. But that's your work, and you do it your way. Nice to see more people modding for this game. 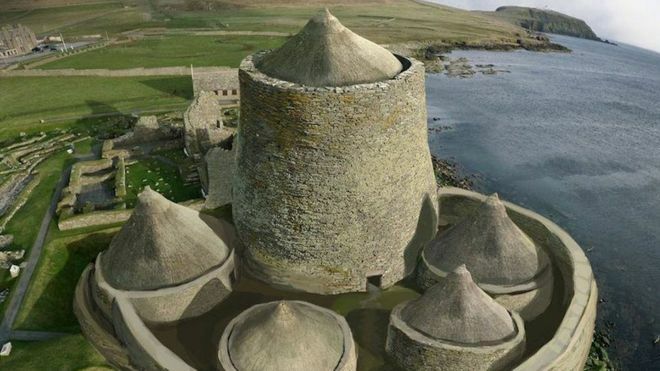 How's your broch coming along?